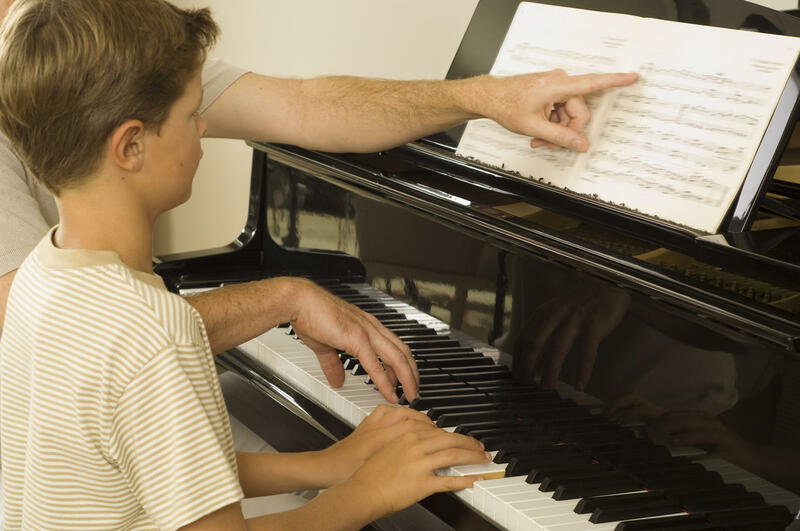 Brigham Larson Pianos is a family owned and operated piano store. Our mission is to help facilitate positive musical experiences for families.Here is how it all began…Brigham’s Piano StoryThe love affair with pianos began as a child. As a teen, his father recognized the duo of talents in Brigham of musicianship and craftsmanship. He loved to play and he loved to tinker. So seeking out a piano tuning apprenticeship seemed perfect. In 1995, Brigham paid cash from his sock drawer to hire his first mentor, at age 17. What he thought would be a cool hobby to help pay for college, turned out to be a much more exciting piano adventure.At BYU, he met and married Karmel and they bought a 700 SF condo that hosted 7 pianos at one time before they expanded into a home. Always a gigging musician and local performing artist, Brigham lived at a piano day and night. Between tuning appointments and with first son, baby Ben’s help, he rebuilt his first piano in 2002 in a tiny garage. As each new piano was completed, he would roll them out to the street to sell one by one. Over the years, came many more gigs, more children, and many more pianos. At one time, he had 23 pianos in his home and garage.So in 2010, Karmel finally said, “It’s time…. to expand!” and she found a warehouse. That same year, Brigham was selected to be the exclusive Hailun dealer for Utah. Soon they further expanded into the adjoining space and created the storefront, Brigham Larson Pianos.